The holiday season can be a bit blue for those searching for new job as many companies put hiring on hold until the new year. However, family and friends can help their unemployed loved ones by giving holiday gifts that will help propel their career search forward. Instead of another gadget that probably won’t get much use, consider these gift ideas for the job seeker that will help loved ones reinvigorate their job search. 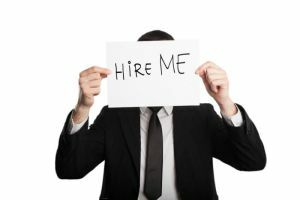 Job seekers often try to go it alone when writing resumes and cover letters, especially if they are unemployed and trying to cut costs. That’s why one of the best gifts they can receive is a professionally written résumé that highlights their career accomplishments and makes their skills shine. These professional resume packages have printed gift certificates that are the perfect stocking stuffer or Christmas gift. The packages even include a matching cover letter for a cohesive presentation. Sometimes, even the most qualified individual just doesn’t interview well. This is usually because they haven’t practiced enough or are just unfamiliar or uncomfortable with the process. Help your job seeker out by giving them one-on-one time with a professional career coach who can help them overcome their poor interview skills and become more comfortable and confident with the process. This one-on-one time can also be used for in-depth career coaching, where professional recruiting specialists talk with job seekers about their career goals and how to overcome the areas that concern them most. Today’s job search no longer relies only on a paper resume. It also relies on online networking as well using sites such as LinkedIn. Unfortunately, many people treat their LinkedIn profile like it’s a Facebook page, with unprofessional photos and incomplete sentences. Gift certificates for a professional LinkedIn profile creation are available that will make your loved one come across as the qualified professional that you know they are. Local professional organizations and associations can be a great way to network and get job leads. However, the fees to join these organizations are often out of reach for many job seekers. Consider giving a one-year membership to your loved one as a gift. Finally, why not help your loved one put his or her best foot forward, literally. Present them with a gift certificate for a clothing store that sells tailored suits and other clothing appropriate for job interviews. While it’s still up to them to make a good impression, professional, well-fitting career attire will go a long way to helping them do that. Whether you live in Michigan or around the country, the employment experts at Vertical Media Solutions are here to help. Our detailed resume writing process is designed to help your friends, family and colleagues transform their careers into professions that they love. Give us a call and get started today: 616-631-4300. Potential employers are very often looking at social media profiles. Some of you may have even forgotten to update. Professional writing and even having professional attire bought as a gift are certainly overlooked when thinking about how to help the recent graduate burdened by student debt. Great piece.